Float like a butterfly, sting like a Newman! 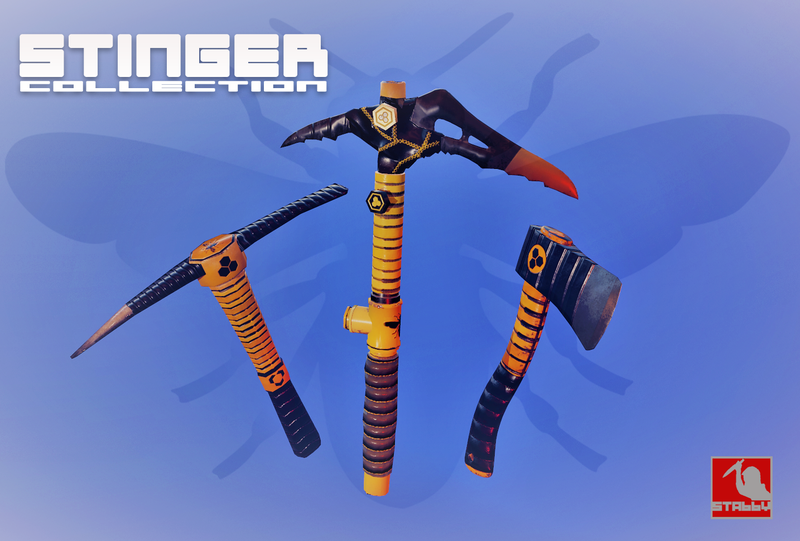 The Stinger Pick Axe is a bright, brash, and bold tool equally suited to mining and caving in opponents skulls! Mesmerize them with your yellow and black attack!